When are the BEST times to trade? It’s hard to find time to trade- let alone the best times to trade. Maybe you have a job, school, kids, or maybe all of the above. Or perhaps like host Stephen Johnson, who lives in Dubai, you live in a time zone where the US markets aren’t operating at convenient times. For most traders, time is at a premium. It can be particularly difficult as a new trader when you’re trying to get your feet wet in the world of finance yet still trying to juggle your everyday responsibilities. 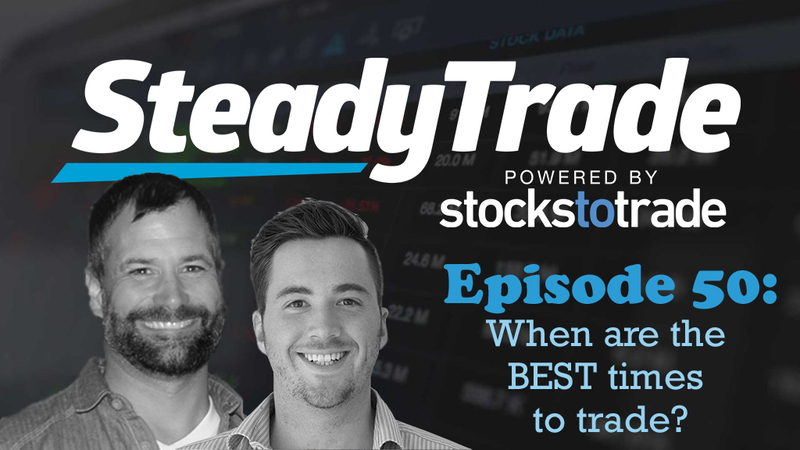 This episode is very applicable and offers real-world tips on time strategies to maximize your trading routine and discover the best times to trade. There are very few full-time traders. While their lives very much revolve around trading, hosts Tim and Stephen are not technically full-time traders. Tim started out as a part-time trader for 6 years. He dealt with having a business and family while also trying to build a consistently profitable trading career into that routine. Stephen holds a full-time marketing job, so he fits in trades at odd hours and during breaks. This is not unusual. While sure, it would be great to be a full-time trader, very few will have that luxury, especially at first. So it’s important to get smart about time management and! Sometimes the best times to trade are the times that you’re able to trade at all. There are opportunities everywhere, and at every time of day. Remember, there are opportunities everywhere, regardless of when and where you are trading. Even if you prefer to execute trades during the morning rush in the market, there is plenty of other legwork that can be done at more convenient times of day for you, like the evenings. In the episode, Tim and Stephen explore the best approaches for different time zones and different situations. Go with trades that work with your schedule. When Tim was first starting out, he took advantage of “late day fades” because they worked out with his routine. He would watch gainers early, check out his watch list, short them with fading volume, and take advantage of it. It worked with his schedule because he had a business at the time, so that’s the trading method he went with. Work smarter, not longer. You shouldn’t work 15 hour days. You’ll burn out, you’ll make mistakes, and you’ll probably just be doing busy work. More time spent in front of your computer isn’t necessarily better. Work smarter, not longer or harder! As Tim wisely puts it, many traders get into trouble when they adopt the mindset of “I have to make a trade or I’m wasting my time”. Wake up early. The morning is the perfect time to do research on potential trades without interruption. You can do it the night before, but Tim likes the early morning because you get the futures markets, morning reactions, and you can review the top gainers from the day before. In the episode, Stephen dishes on his daily routine, from the moment he wakes up in his liquor-soaked bed of sin to the wee hours when he drunkenly stumbles to bed. But seriously. Stephen talks about his tricks and tips for making trading work when you have a full-time job. He talks about his priorities for research and how he goes about his trading. Additionally, he dishes on when he executes trades–the answer might surprise you! He even goes into detail about the times of day at which a bullish or bearish market might be better for investing. In the episode, Tim offers many of his hard-earned tips for managing time as a trader and how to discover the best times to trade. For instance, keeping a trading journal and keeping “binders full of charts” can be invaluable to a trader who has little time. It gives you data to analyze, consider, and helps you make a strong plan of attack for tomorrow or when you do have more time to trade. 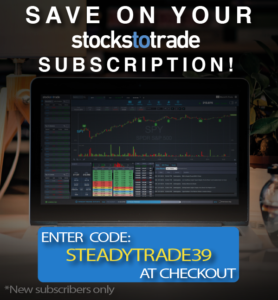 He and Stephen also talk about specific tips for making your time more effectively as a trader, including habits to drop, how to improve your trading psychology, and focusing on what matters. So, what are the best times to trade? Listen to the full episode to find out! Do you have a trading question for Tim and Stephen? Be sure to visit the “submit your audio” portion of the website to ask us anything. You may be featured in an upcoming episode. Thanks for tuning in to the Steady Trade Podcast! Stay tuned for weekly episodes focusing on topics relevant for aspiring traders! Very good you two, Tim you always provide good advise and practical information, start with a plan, set you time of day to trade, your trading style (niche), do your home work before each trade and stick to it. Steven I agree with Tim, work on your comedic style, next podcast try and say this three time as fast as you can. (One of my ole’ girl friends was a:) RED HEADED DOUBLE-BREASTED MATTRESS THRASHER. I’ll bet you can not say it, however you must have Tim’s mouth full of water/coffee. I love your podcasts but Stephen needs to back up some comments he comes out with I too thought he had been thinking about how he was going to put all his knowledge to good use, 47:00 mins in I was waiting to hear a plan, maybe he could let us know what it is next week? Good advice with great explanation. I love how two of you interacting. Thank you! It makes a lot of sense on the times to trade. To many rabbits to chase if you are in front of your computer for the whole time the market is open. That just happens to be the section I’m at in Jamil’s book too, so the timing is great. Another great podcast. Love you guys!